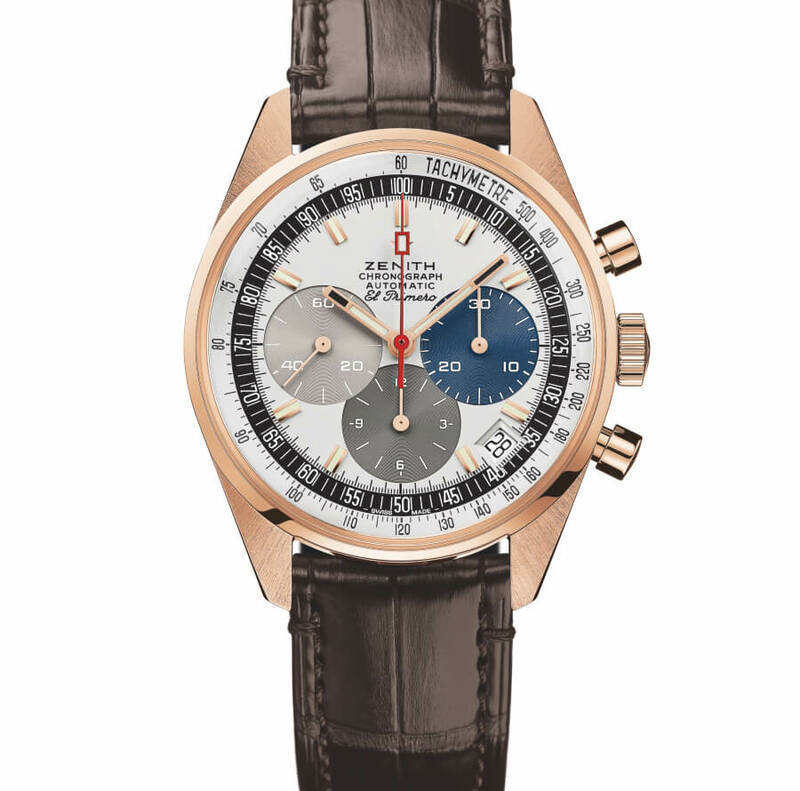 El Primero has been writing the epic Zenith saga since 1969. 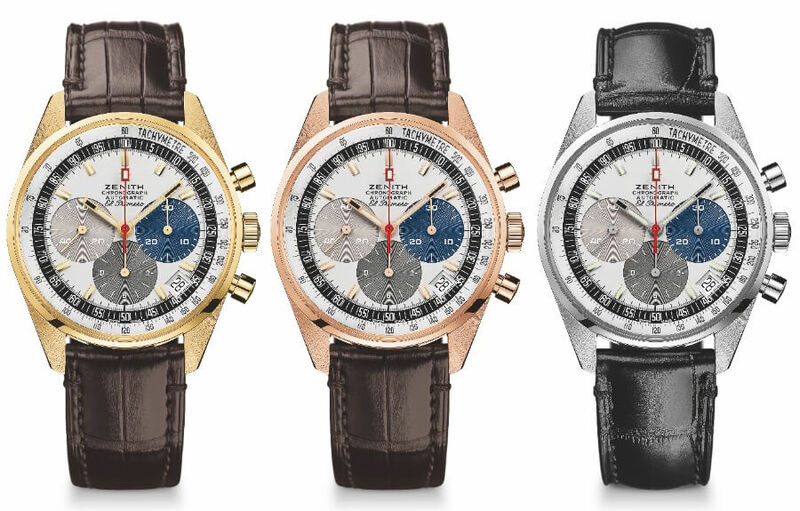 For this golden jubilee, the world's most accurate automatic chronograph arrays its original attributes in the radiant glow of white, pink or yellow gold. Its revolutionary mechanics capable of tenth-of-a-second measurement, together with its three emblematic counters, have made it a legend. A cadence of 36,000 vibrations per hour; an integrated column-wheel construction; a ballbearing-mounted central rotor; and over 50 hours of power reserve (a real feat for such a high frequency) have been the signature features of El Primero creations for half a century. 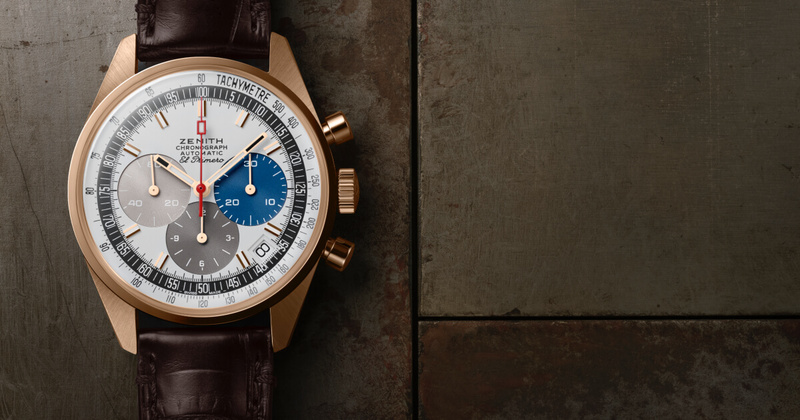 As a fitting tribute, Zenith presents three 50-piece re-editions of the original model, complete with a 50-year guarantee ensuring the bright future and heirloom stature of this anniversary series. Apart from its precious metal, this anniversary edition faithfully reproduces the initial characteristics of the 1969 El Primero: a 38 mm diameter case, a domed crystal, three-coloured counters, a tachymeter scale, as well as the shape of the hands and hour-markers. The mushroom-type pushers and lugs are also identical to the original, thanks to the "reverse engineering" process adopted. In designing this vintage series, each component of an original El Primero chronograph was digitised so as to ensure accurate reproduction of its properties. The only exceptions are the initially closed caseback that now fully reveals the movement, as well as the updated logo adorning the crown. 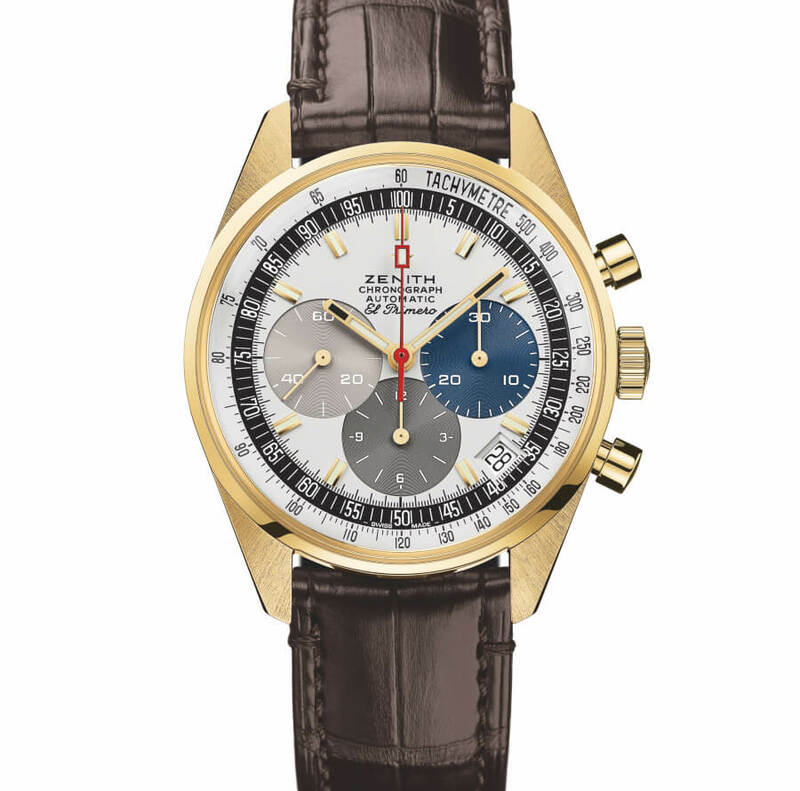 Meanwhile, this model’s ‘engine’ is the current version of the El Primero automatic calibre powering the hours, minutes, small seconds, chronograph, tachymeter and date functions, with the latter appearing between 4 and 5 o’clock on the white lacquered dial. 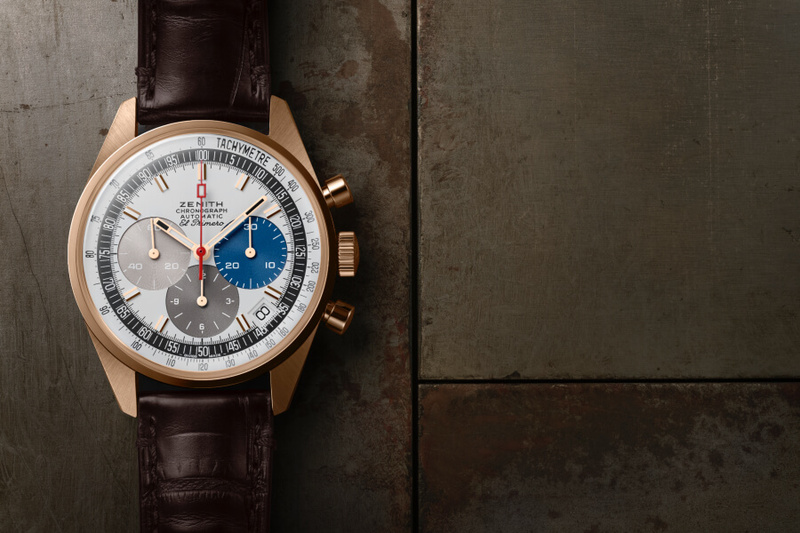 Nods to the past continue with a brown or black leather strap depending on the model – pictured here in rubber-lined alligator leather – fitted with a buckle made of the same gold as the case, as well as with the composition of the case. The latter contains a bright red travel pouch, like the one from 1969, as well as a microfibre cloth adorned on one side with an El Primero chronograph movement plan and on the other with a picture of the original user manual. 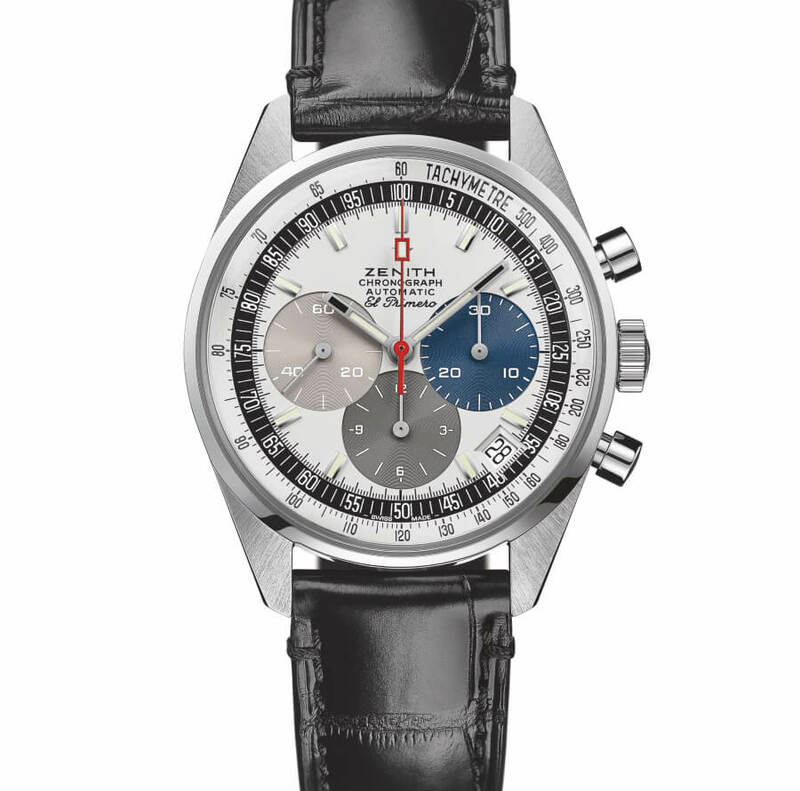 The price for the Zenith El Primero A386 Revival is CHF 19,900 and will be limited for 50 pieces each version.